Just received an email from a friend who is a worship leader. 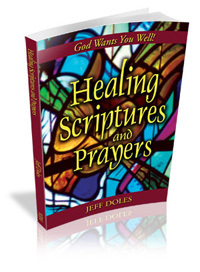 She expressed her desire to explore more deeply the connection between worship and healing. The prosperity of the soul, the inward being, has much to do with the health of the body and the prosperity of the outer man. Simply put, prosperity is success and well-being. The well-being of a person’s soul is a determining factor in the well-being of their life. A person who walks in prosperity of soul can expect also to experience good health and success in all their affairs. Conversely, if success is lacking and health is failing, perhaps there is something in their inner life which needs their attention. Worship is an activity that tends to bring the soul into well-being. One reason is that worship is not self-centered (although some Christians approach worship in a way that is very nearly self-centered). The soul that focuses on itself is a soul that is withering on the vine, cut off from its source. True worship is an antidote because it focuses the heart on God alone — and that is the road to soul prosperity. That’s just one connection between worship and healing. Another connection is what happens when we gather in Jesus’ name, which is what we do in worship. Jesus said that where two or more gather in His name, He is there in the midst of them. To gather in the name of Jesus means, again, that it is all about Him. The focus is not on us, its on Him. We are there for His purposes, to bring forth His will, to express His heart, to do His works. That is how His presence gets manifested. When Jesus is in our midst, He is there to do what He has always done, because He never changes. He is the same yesterday, today and forever. So just as, in His earthly ministry, Jesus went about doing good and healing all who were oppressed of the devil, so it is today as He gathers in our midst. He is ready to heal and set free all who come to Him — the worship/healing connection. Baptism and the Lord’s Table are also signs of His presence. They are a revelation of who He is and what He came to do. Historically, from the very early days of the Church, the celebrations of these sacraments* have been occasions for healing. In worship, we pray, “Your kingdom come, Your will be done on earth as it is in heaven.” Worship is a revelation of heaven, where there is no sickness or disease. When we understand that, we begin to see that the will of God being done on earth will include the healing of those who are sick. There are certainly other connections we can find between worship and healing, but meditate on these for now. The Bible says that God is looking for those who will worship Him in Spirit and in Truth. So ask the Holy Spirit to show you Jesus, who is the Truth. For it is the role of the Holy Spirit to take the things of Jesus and reveal them to us. When you come into that place of worship, you will find it to be a place of healing. * A sacrament is an outward, visible sign of an inward, spiritual reality.